This interview was conducted by writer Adrien Party for the French Vampire webzine Vampirisme. Hello. Please introduce yourself to Vampirisme. JT: My name is Jill Tracy. I am a composer/pianist/singer/storyteller based in San Francisco, CA. With albums ranging from songs to film scores to post-classical instrumentals, I am fascinated with the beauty found in darkness––and my work honors the mystery, the forgotten, the stories lost in time. 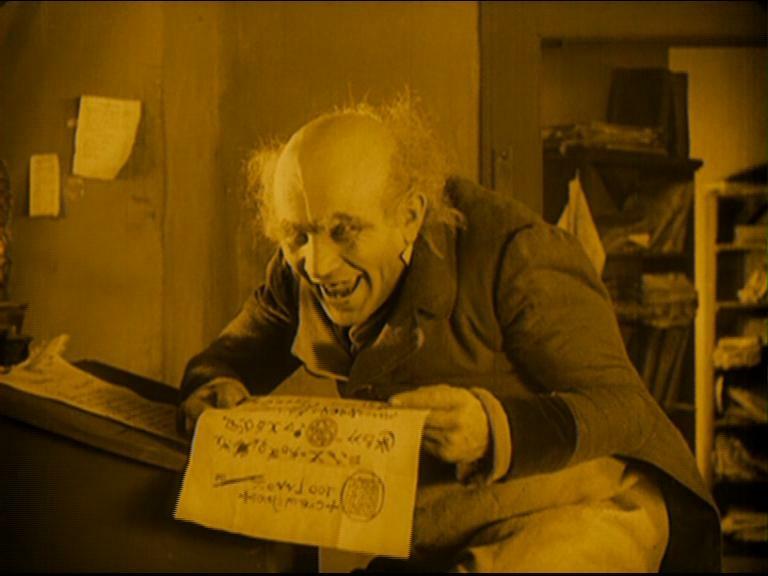 Into the Land of Phantoms is presented as a score for F.W. 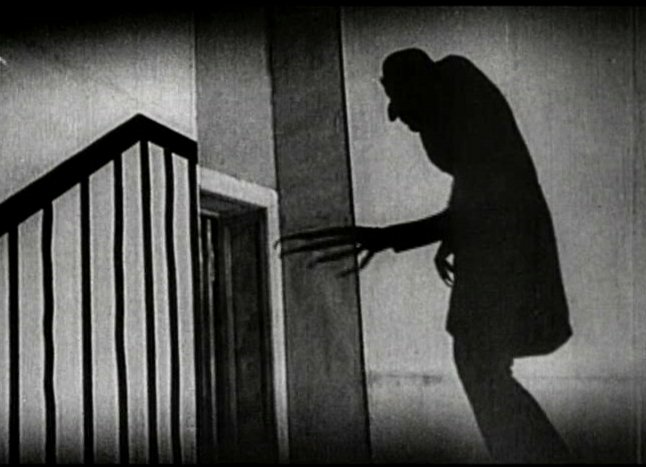 Murnau’s 1922 Nosferatu. Can you tell us about the genesis of this work? Some of the characters have their own theme, which is used on many parts of the score. What was the point behind each theme? (particularly Van Helsing, which reminds me of the Grenada Sherlock Holmes tune, and Jonathan Harker). JT: Those recurring themes set the tone and personality of the character so when you hear them again, it resonates, and you react subconsciously. You are instantly back in his/her head again! Van Helsing conveys an erudite trusting sense, whereas Renfield’s character was not only diabolical, but a bit fumbling, there were touches of hollow marimba tones that brought across the comic, peculiar side of his personality. The marimba melodies are both foreboding yet playful, which was the brilliant idea of my long-time percussionist Randy Odell. I do want to mention the other wonderful musicians on that score: Alexander Kort (cello), Daniel Baer (violin.) I play piano. Are there some moments of the score that are not on the CD, and why? JT: Most of the score is represented on Into the Land of Phantoms. The CD will NOT sync up with the film, however, as the actual score had several long silent passages, or moments with just sound effects, which did not translate well for an audio CD. I am very proud that Into the Land of Phantoms stands exquisitely on its own as album of dark classical music. JT; Well, the dates you mention certainly span the landmark years, from the silent cinema to talkies…through the great Film Noir period. It was a watershed when I discovered the classic horror/film noir composers as a child. Bernard Herrmann’s scores to Alfred Hitchcock films, “The Day the Earth Stood Still,” Franz Waxman, Hans J. Salter, among others. It was pure magic to me, realizing that the MUSIC completely dictated the emotion of whatever it was that you were watching. It was utterly subliminal, primal. I wanted to figure out how to conjure dark and enchanting imaginary worlds of my own. Not to mention the dreamlike, sensual look to those films. I just wanted to live in those worlds. They seemed perfect to me. They still do. Today, most Hollywood movies and scores are not about creating fine art, but about making money, so sadly “scores” are often poorly placed pop songs pasted into a film to promote “bands du jour” owned by that company’s record label, etc. This has destroyed that elegant sense of timelessness in cinema…which is something I always strive for in my music, the fact that it will be relevant and distinctive on it own terms, never sucumbing to trends or the mass media of the time, which only cheapens the craft, and makes it insincere. That’s why there is such a resurgence and newfound interest in classic cinema right now. These treasures have become a lost art. JT: As a girl, I remember watching Bela Lugosi films and eating Count Chocula cereal. Those were probably my first encounters with vampires. I would stir those little brown marshmallows around in the cereal bowl imagining that it created graveyard dirt! 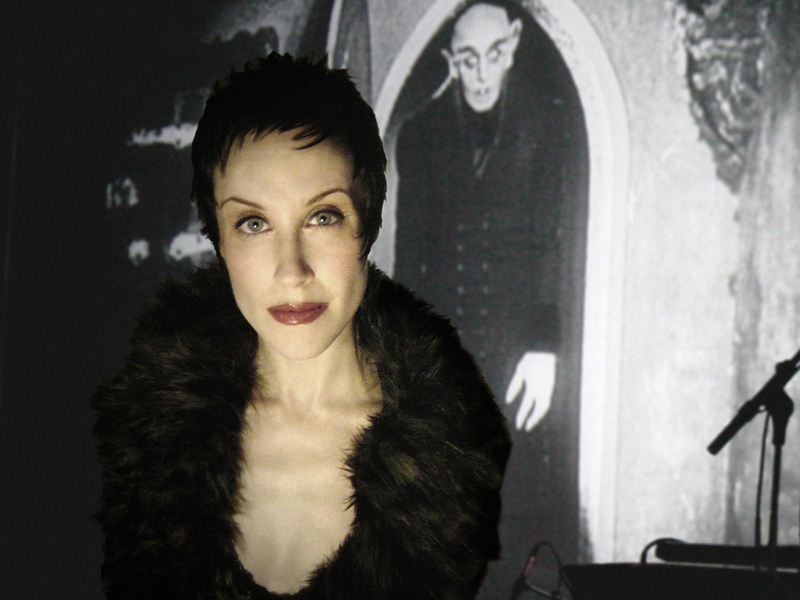 I guess I’ve come full circle because now I am working with David J, bassist from the legendary band Bauhaus, who wrote the gothic anthem “Bela Lugosi’s Dead.” I actually created a dark classical piano prelude for a new reworking of the tune by David J himself. He sings this version, as Peter Murphy sang David’s lyrics on the Bauhaus 1979 original. You can’t get more vampire than that! 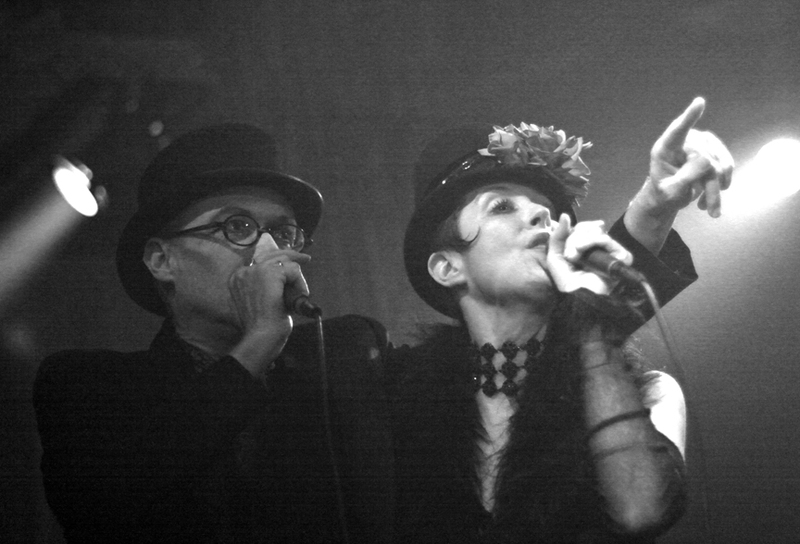 Jill Tracy onstage with David J (Bauhaus) in Hollywood. photo by tourbuslive. In your opinion, how can we analyze the vampire myth? The vampire is one of the oldest, most resilient archetypes, existing in a variety of forms in nearly every culture worldwide. Each culture’s conception of the vampire has been somewhat unique––one type of Indian vampire feeds on the livers of its victims, while a form of Japanese vampire subsists by consuming infants. The vampire was confounding or horrifying because it had the ability to achieve the forbidden, as well as lure others under its spell. For Victorian audiences, this spectre of wild sexuality, and the break with proper social behaviours, was unheard of, and terrifying. 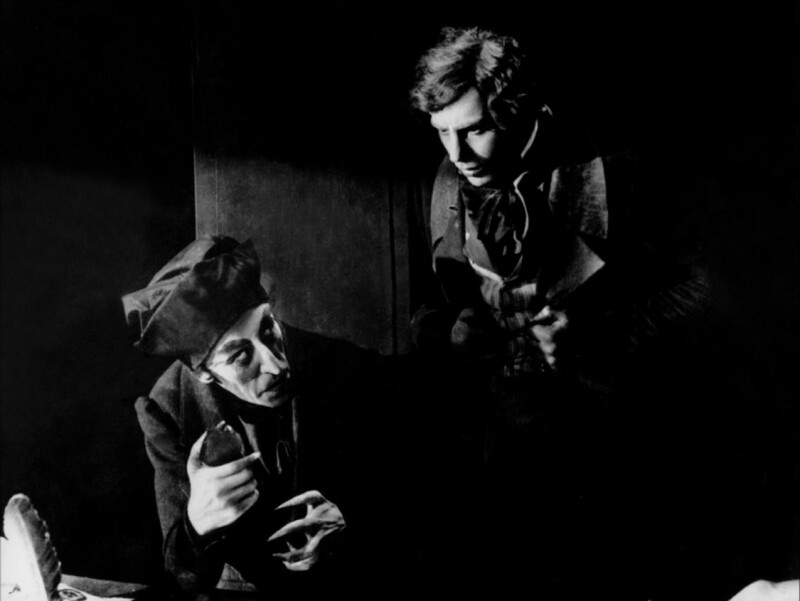 When Murnau’s Nosferatu debuted in theaters in 1922 (the first film based on the 1897 Bram Stoker novel,) people fainted in the aisles and had to be carried out of the theater! For me, the universal appeal of the vampire is that of control/abandon, unbridled desire, the mysterious, the forbidden, eternal beauty, immortality. A lover seemingly out of our reach, a lover who can reveal to us dangerous new worlds and take us to heights we can only imagine is rapturous…and frightening. How much of ourselves are we willing to lose in the process? Now, the role of bloodplay/drinking blood creates an even more severe sense of taboo in society with the reality of HIV, AIDS. This further entices a sense of forbidden fetish, unacceptable to the norm––a seductive mingling with death. Do you have any other projects on this very same subject? What are your future projects? I am also thrilled to be the first musician in history to be awarded a grant from the famed Mütter Museum in Philadelphia, the nation’s foremost collection of medical oddities. I spent part of last year composing music inside the museum at night in the company of these wondrous specimens and lost souls. I will spend 2013 completing this project for an entire album inspired by the Mütter collection. ***Listen and purchase Into the Land of Phantoms, Jill Tracy’s score to F.W. 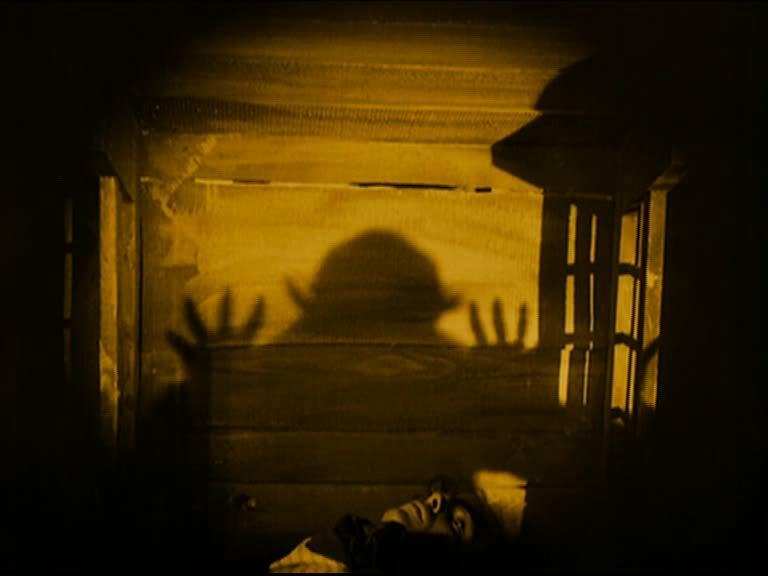 Murnau’s Nosferatu HERE.